Traditional medicine leads people to believe when they are diagnosed with diabetes their path is set, of pills, shots, expense, weight gain, and an increase in truly obnoxious symptoms. And in addition, to the symptoms of diabetes itself, you may hear how you can now expect heart disease, high cholesterol and other big issues to follow. 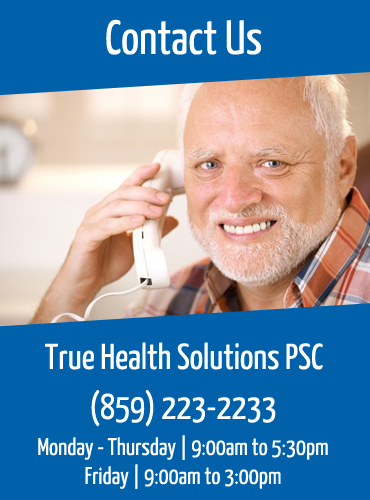 If you talk with any of Dr. Miller’s patients at True Health Solutions of Lexington, you will hear a different tune. Dr. Miller’s diabetes patients have one story after another of excited, changed lives, free from symptoms, pills, shots, weight gain and expense. “I highly recommend Dr. Miller’s diabetes care,” says one patient who suffered through insulin shots and an insulin pump every hour in addition. In only eight weeks of diabetes care with Dr. Miller’s, her medical doctor her off the insulin pump she was on for over five years. You would then hear her say that Dr. Miller’s diabetes program is amazing! Another patient thinks Dr. Miller is wonderful, because only sixteen days working with Dr. Miller, he visited his medical doctor who took him off his diabetes pills he had been on for fifteen years. He is now off all his diabetes, high blood pressure and cholesterol meds and lost 34 pounds without exercising. A female patient highly recommends Dr. Miller’s program for those suffering with blood sugar issues because after only eight weeks of working with the staff at True Health Solutions of Lexington she watched her blood sugar drop, got off her pills, has more energy and started her walking exercise once more! When another patient lost over 35 lbs, without exercising, weighing the least she had weighed in over 32 years and her dizzy spells left, another patient’s life was changed for the better. With her blood sugar in healthy ranges and her blood pressure normal, she is off all blood pressure medications and diabetes medications today. Another patient who comes in from Louisville, Ky says ever since she started with Dr. Miller, she has lost over 23 lbs and has considerably more energy, although she had been under the care of an MD for over 7 years. She has referred several others from Louisville, Ky as she says.. “It’s only about an hour drive to have my life saved, no other doctor could do anything!” Patients gladly come from Louisville, Kentucky. Other patients frequently drive from all over Kentucky, like Louisville which is only about an hour to two away too. As so many of our patients say.. “It’s not to far to have my life saved, Louisville, Kentucky is just down the road!” From Louisville, Kentucky it’s easy to get to our facility. If Dr. Miller’s program is unbelievable, the proof is in the healthy pudding as a manner of speaking. A male patient suffered for 12 years with diabetes, however in only three weeks of working with Dr. Miller, his blood sugar went down significantly and he lost weight, feels much better and his blood pressure is also down. The best appreciation comes from new patient referrals, with diabetes sufferers hearing there is hope for them. Another male patient cannot recommend Dr. Miller enough to those with high blood sugar, too many medications, excess weight and even sleep apnea as he suffered with all of them and more. Now his blood sugar is normal, all his medications for diabetes, high blood pressure and cholesterol are off his daily ‘to do’ list and he lost 26 pounds without exercise. And additional benefit is the fact his CPAP machine can gather dust because his sleep apnea gone and he now sleeps well. People go from taking all kinds of medications a day to getting off all medications. Patients lose weight, feel and look better, have more energy and watch their symptoms disappear. Dr. Miller’s program is the best because he uses a full range of chiropractic multidisciplinary care to treat type II diabetes. 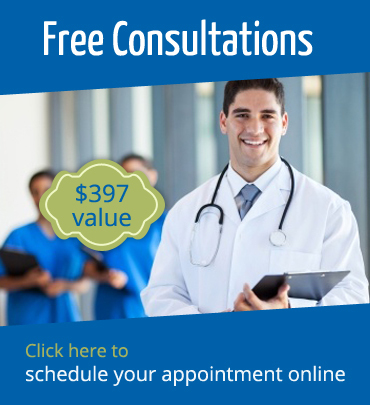 You can feel free to call now for yours or someone you knows free consultation with Dr. Miller at 859.223.2233.